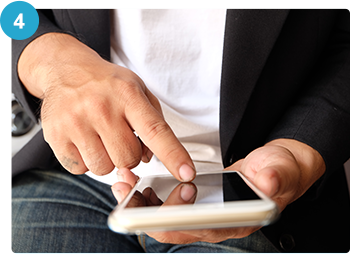 Engage your customers with your very own mobile app! Mobile apps are much more interactive than a website. Keep your customers’ attention with games in your app! Constantly update your customers on the latest happenings of your business. Notifications from your app serves as gentle reminders of your business! Based on your needs and requirements, we can develop a mobile app that is customised specially to your business. Interested in developing a mobile app of your own? Contact Us for more information. Many of these projects have been multi-platform where the application simultaneously has been developed for iOS and/or other platforms. This means that our team has experience in maintaining multiple native code bases and that simultaneous development is something we thrive in doing. We will work with you to understand your project and analyse your requirements. Our team of designers will provide a customised design concept that showcases the functionalities of the app. The app will be developed by our team of experienced developers. Our QA experts test the app thoroughly to ensure that app works well. We will setup the app for your review purposes before the app launch. We will deploy the app according to your preference. Be it an internal launch or an app store launch, we will set it up for your users to download. 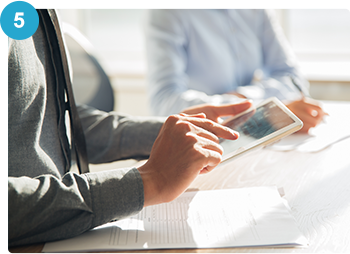 We provide ongoing support to ensure that your app is up and running. Q1. What is Verztec Media’s delivery structure/ timeline like? (ie will there be a demo before we approve and sign off for each phase, how many meet ups and sessions are you open to? Once we receive your confirmation for the project, we will set up a project kick-off meeting at your office, with respective members of our technical and project management teams to understand your project preferences, requirements etc. During the production development stages, we may set up zoom conference calls for the project milestones where we can then discuss User Interface designs, workflows and to get your confirmations before we proceed with the coding efforts in the development stages. When the draft app is completed, another meeting session (in Verztec Media’s office) will be arranged with you, where you may provide us with finalized changes for updates. Lastly, there will be a one-time user training and project debrief session (that will take around 2 hours or so) at either Verztec Media’s office or at the client’s office when the final app is completed. Q2. If the project over runs the proposed timeline due to delays and issues on Verztec Media’s side, what happens? If the project drags more than the proposed timeline due to delays of our technical teams, we would be glad to reduce total project fee by 3% for every addition month of late delivery. However, this fee reduction is not applicable if the delays are due to client-side reviews, and/or multiple change requests by client due to preferences, additional modules/features added and so on. Q3. What kind of documentation will be provided for the project by Verztec Media? Wire frames of the project, UI during engagement phase? User Guide, System Workflow diagram and also wireframe UI for various screens will be provided. We would require all wireframe UI and system workflow diagrams to be agreed and approved by customer first before we move into following-stages of development, QA testing and full system implementation. Q4. What is the aftersales support like? Is it included in your service package? Q5. Does Verztec Media offer app development services only or can you guys handle the hosting and technical maintenance of my app system as well? Yes, we offer a hassle-free one stop solution for all your app development needs. 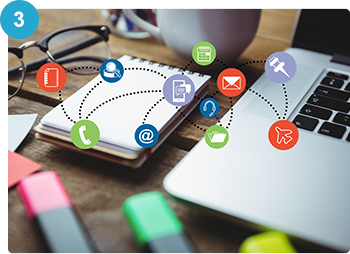 We have comprehensive in-house technical teams that specialize in User Interface Designs, Web technology as well as the latest Mobile App Solutions for both Apple IOS and Andriod Platforms. We are also always staying abreast with the latest software trends and applications. 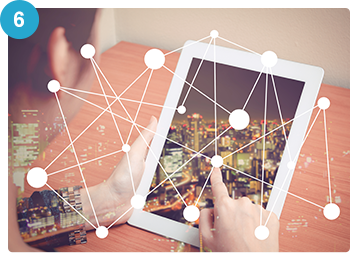 Over the years, Verztec Media has developed innovative apps for companies such as Unilever, Duke NUS, DB Schenker, QLifestyle, Federal Fire and many others – that has helped them achieve better business efficiency. Many of these companies’ apps are also hosted in our high-speed network servers and full technical maintenance is managed by us. For hosting solutions, you may consider a few options, such as dedicated server cloud hosting, normal cloud hosting and secured cloud hosting etc, depending on your needs. For example, dedicated server cloud hosting is usually meant for large number of users, high frequency usage of the app/server or if you prefer a more secured private server environment just for your app system and not to be shared with our other clients. Just let our Verztec Media representative know your needs and we will do our best to help you. We are here to support you for the long haul as you decide to enhance your app system further. This means working closely alongside with you as a partner and providing good advice and guidance, as we include new features to your app and develop new modules in future based on your growth strategies. To be honest – Most of our current app development clients are recurring clients and we have been supporting them for version 1.0, version 2.0, version 3.0 and so on for their apps. Clients tell us that they like working with our team due to our technical expertise, patience, proactiveness, positive service attitude and always going the extra-mile for their projects. 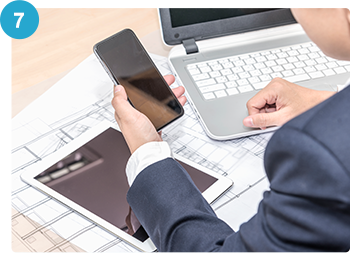 Should we be appointed by you – our technical teams would naturally be familiar with your app codes (as we would have been your app development partner since day 1, from the very first version of your app). This means that the future add-on costs to upgrade your app with new enhancements would potentially also be lower and development timelines for new modules would be much faster. Working with Verztec Media means lesser technical bugs and lesser security flaws (that potentially may allow hackers to exploit) in your app system. Our technical teams will do our 101% to ensure bug and security flaws are fixed and addressed properly from the inner code layers of your app system to prevent likely issues such as Phishing, Trojan etc from happening in future for your users and your company. We look forward to work with you soon for your project! Thanks for the opportunity. 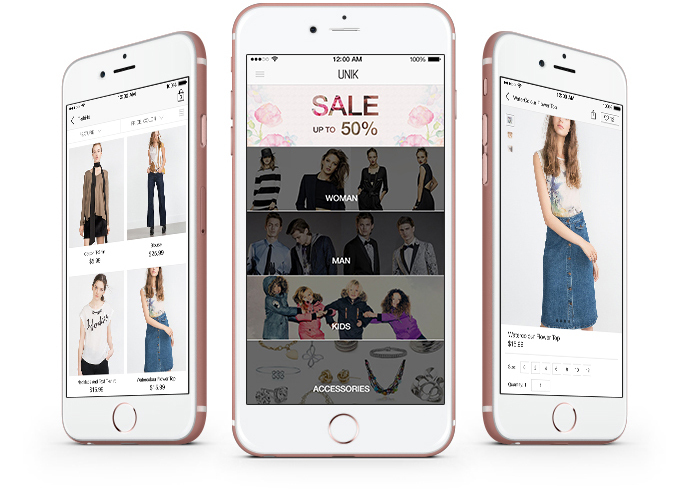 UNIK is an app platform for users to shop for products. 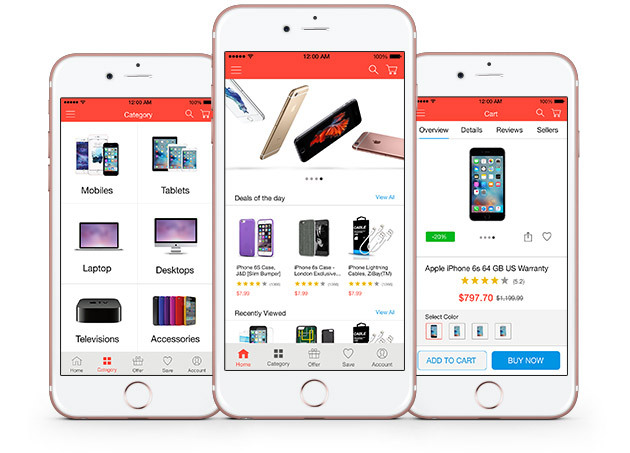 Users can browse through their favourite brands, add products that they like into a wishlist or into their cart and check out to complete their purchase. Users will also receive notifications when new products from brands that they follow is available. Shop owners can upload products details and receive notifications when there is a new order. Orders are also tracked so that shop owners can analyse trends and gain insights on their marketing campaigns. 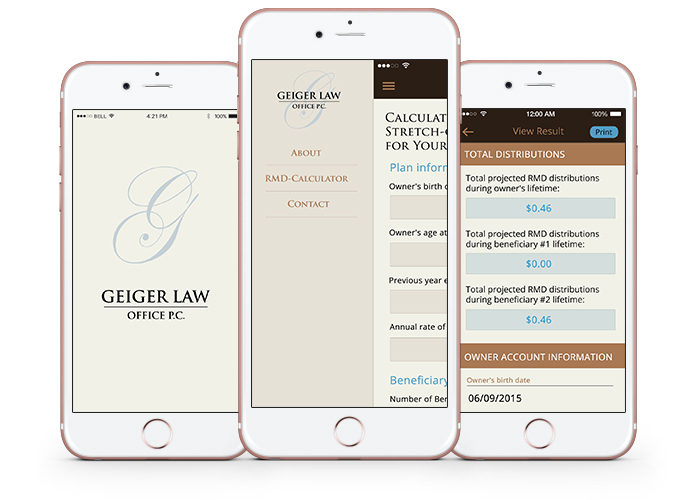 The Geiger Law app provides a RMD-calculator to aid users in planning for their retirement funds. The app takes into account the user’s profile and provides information on the user’s total projected distributions. Users can also find out more about the company and contact the company through the app to enquire more about the company’s financial planning services. Inform your customers about your new product as soon as it is launched! Simply upload your new product information and your customers will receive a notification to view the details and make their purchase over the app. 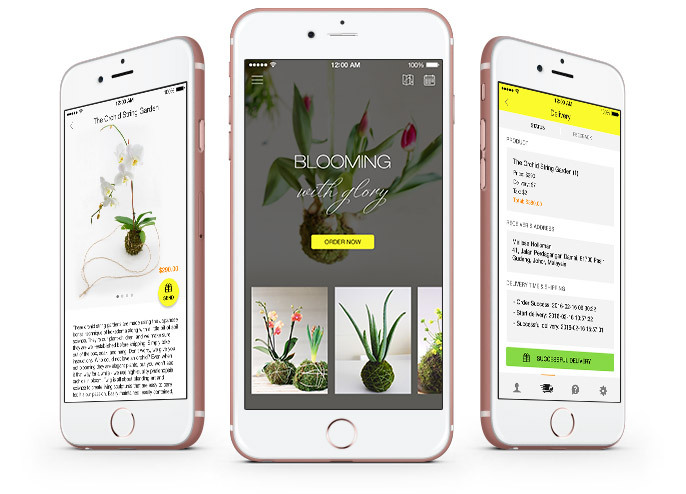 Showcase all your products on the app to give your customers a better overview of the products you offer and simplify their purchasing process using the click of a button on the app! 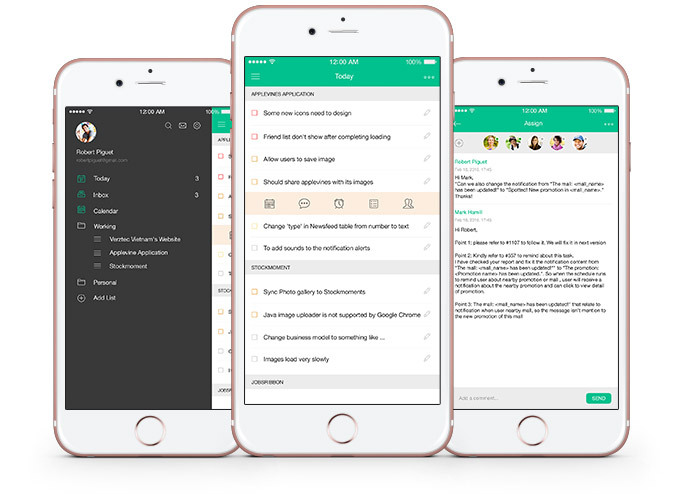 Record and prioritise your tasks. 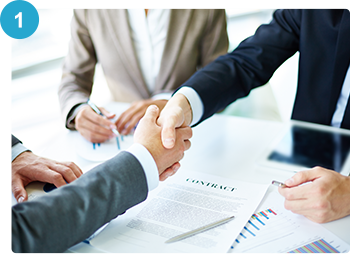 Keep track of the task status of your employees and delegate tasks to the most suitable person. 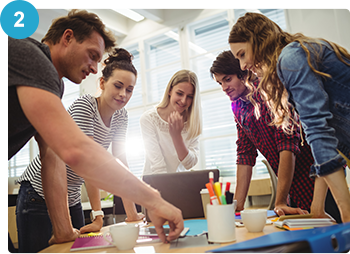 Manage your team more efficiently! Improve your customer’s experience! Let your customers track the status of their orders and delivery. Collect their feedback and find out how you are doing.